Steve Winslow is a seasoned finance executive with over twenty years of progressive responsibility in both public and private companies. He has raised over $4.5 billion in debt and equity financing, and has proven experience in mergers and acquisitions, operational support and analysis, foreign operations, liquidity and loan compliance, investor relations, rating agencies, and SEC and corporate disclosures. Steve was previously the CFO for SeaMobile, a global VSAT satellite communications company. As CFO of SeaMobile Inc., Steve negotiated, managed due diligence for, and financed two acquisitions, expanding the company’s geographic reach and securing its access to key customer contracts and platforms to deliver new products. After the acquisitions, he managed and integrated systems and personnel including offices in both the United States and France. 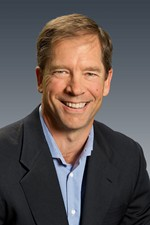 Prior to SeaMobile he spent ten years in various leadership roles with Western Wireless Corporation, which was acquired by Alltel in 2005. 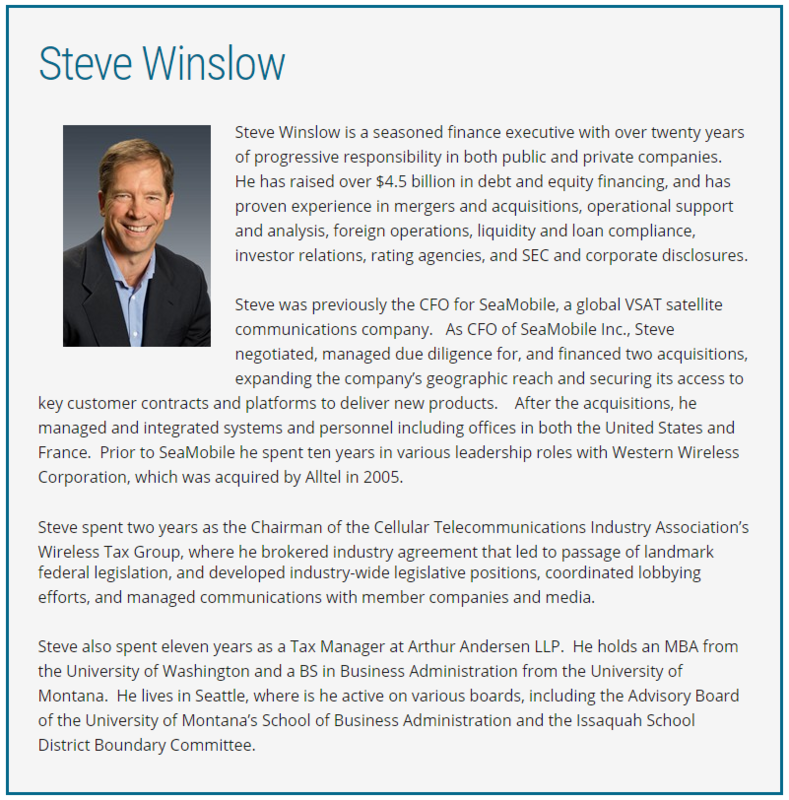 Steve spent two years as the Chairman of the Cellular Telecommunications Industry Association’s Wireless Tax Group, where he brokered industry agreement that led to passage of landmark federal legislation, and developed industry-wide legislative positions, coordinated lobbying efforts, and managed communications with member companies and media. Steve also spent eleven years as a Tax Manager at Arthur Andersen LLP. He holds an MBA from the University of Washington and a BS in Business Administration from the University of Montana. He lives in Seattle, where is he active on various boards, including the Advisory Board of the University of Montana’s School of Business Administration and the Issaquah School District Boundary Committee.